The Danish manufacturer of solar cell street lighting columns, Alfred Priess was established in 1921 and specializes in both standard and customized solutions in the field of technical cabins, lighting columns and steel constructions. For years the company has been amongst the market leaders in selected steel structures as well as a leading supplier of environmentally friendly street lighting based on solar energy. One of Alfred Priess’ many products is the TOUCHÉ solar column. 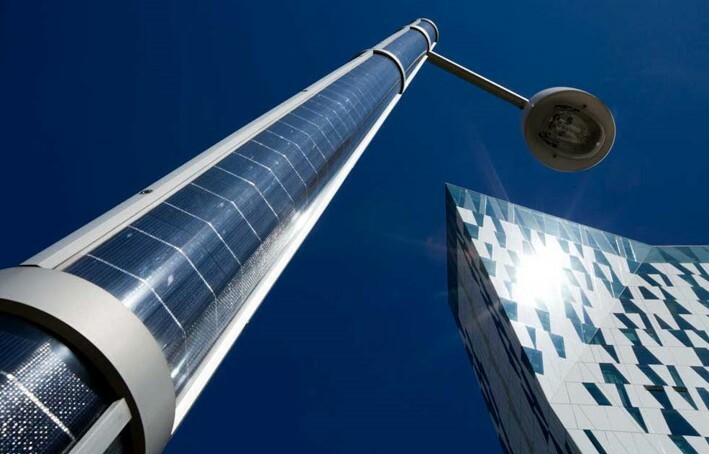 TOUCHÉ is Denmark’s first solar cell lighting column that has been designed by an architect. The aluminum column is discreetly covered with solar cells from top to toe. 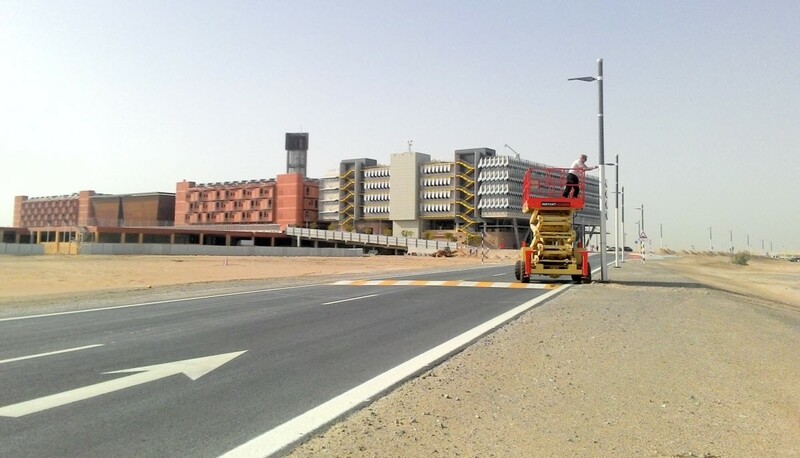 This ensures that the solar column works without problem-free in countries where the amount of sunlight can be sparse at times. Furthermore, TOUCHÉ does not require any cabling and the unique solution is equally suitable for the city, or the countryside where cabling is a challenge – it only requires the sun. Since 2015 Alfred Priess has been developing a controller for the product series of intelligent solar cell street lighting columns. This has been in collaboration with EKTOS, a Danish-Ukrainian engineering consultancy that offers services in the area of electronic development and testing. EKTOS has been implementing some essential improvements to the latest version of the controller. Some of the most important expansions have included a software module from Nabto which supports a remote access to the solar cell columns. Another improvement has been the addition of a GSM module. There are more than 4,000 GAS lights in the solar cell column, each powered by a photovoltaic cell, the intelligent Lysspor® algorism and a long lifetime NiMH battery. It has a built-in Nabto micro web server, so it is possible to perform a number of actions. 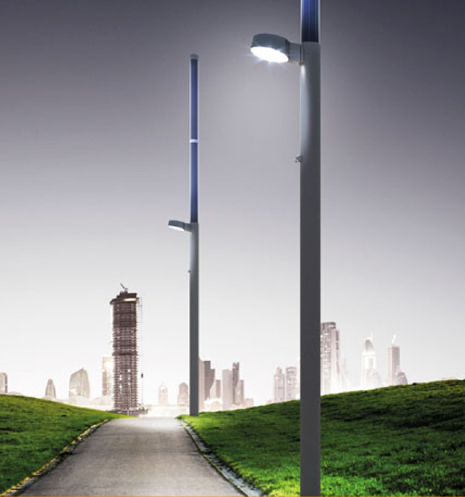 One of the intelligent features of Alfred Priess’ solar cell street lighting columns is the capability of managing the lighting columns through a connection to the Internet, which minimizes the number of physical visits to the columns when, for example, support is required. The connection is a combination of GSM and a Wi-Fi mesh network. In doing this, you can monitor and control the lighting columns, e.g. TOUCHÉ, from afar to keep track of operational status, battery level and capacity performance and to enable automatic light dimming. Furthermore, this allows you to remotely control the settings or reset any parameter. However, due to firewalls, it can be quite difficult to connect to a column from a desktop without involving the IT administrator of the local network. For many, including Alfred Priess and a good number of its clients, this is a frustrating barrier. This is where Nabto’s technology has provided the optimume solution in the latest version of the controller. The total solution can be controlled on-site from browsers and smartphones, and the connection is P2P, making latency close to zero. The implemented software module by Nabto connects to a local server on the Internet and sends a message when the device is connected to a network, where it shares information about which IP address and socket number it has. “Our solution sends a message to a local server on the Internet every 15 seconds. When I want to connect to the device, I search for it from my phone or computer and then the two devices are paired. It’s little different from using a VPN when connecting to the network at your workplace from your home – Nabto is using the same components for the security. The connection is GSM/3G, and the technology is optimized to use minimum data consumption. The Nabto technology makes the functions possible, because the footprint of the software is only a few kilobytes, and there is no need to increase hardware resources. This also means that the communication is encrypted and therefore secure. 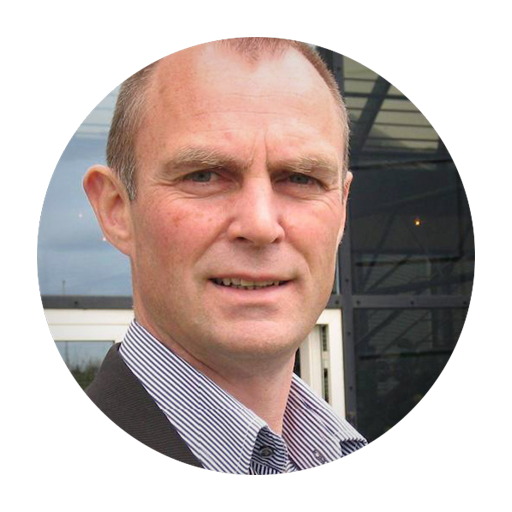 Recently Alfred Priess decided that all of their lighting columns should have the Nabto remote access technology implemented, even when their customers don’t order this. The remote access gives many advantages as making it possible to collect tons of interesting and relevant data, e.g. how often the motion detectors are activated. This makes the Nabto remote access an indispensable technology in the intelligent lighting columns.